Send us any comparable written quote & we'll match or beat it! 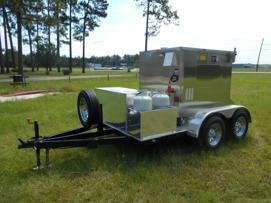 Custom Concession Trailers In 30 Days Or Less...GAURANTEED! We have been the recognized leader in the Concession and Specialty Trailer Industry for over 14 years! We are known for our superior fit and finish and expert design capabilities. 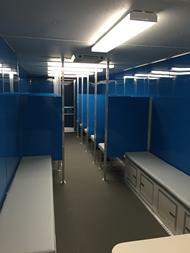 Even though we specialize in food trailers, we also design and manufacture cable splicing trailers, refrigerated trailers, mortuary trailers, emergency response trailers, tailgate trailers, restroom trailers and much more. Call today for your free written quote...912-283-7551. WorldWide Trailer Sales, Inc. is an authorized Concession Trailer dealer for WorldWide Trailer Manufacturing. We offer a complete line of Custom Mobile Kitchens, Catering Trailers, BBQ Smoker Trailers, Gooseneck Trailers and Concession Trailers ranging in size from 10' - 48' in length. 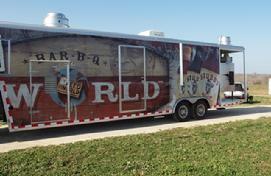 WorldWide Trailer Manufacturing is a pioneer in building specialized Mobile Kitchens. Our Catering and Concession Trailers are universally recognized by seasoned concessionaires and caterers as the "Best of Class" in Mobile Food Trailers. Built to last and detailed to your specific needs. Our commercial quality health department approved BBQ Trailers and Concession Trailers are built with a rugged future in mind. We start with a solid, steel construction as the foundation. 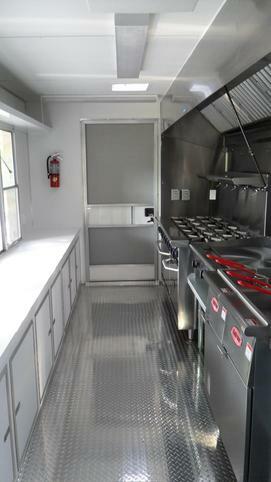 From there, we will design and build a Turn-Key Concession Trailer to meet your specific food and beverage operation. You pick the options including high quality commercial NSF Approved cooking and refrigeration equipment and we'll outfit it on the toughest body in the industry! We have the experience, expertise and track record in creating the best Custom Catering Trailers, BBQ Smoker Trailers and Concession Trailers in the industry. Contact one of our Food Trailer Design Specialists today for a free custom quote...912-283-7551 or email, WWTMfg@aol.com. 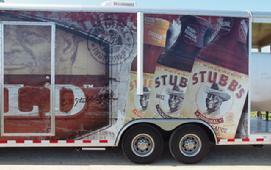 When World Famous "Stubbs BBQ Sauce" was looking for a company to design and build their next Smoker Concession Trailer, they chose WorldWide Trailer Sales, Inc. Why...because we build them better. 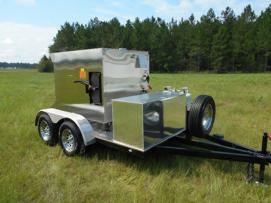 This fully self contained state of the art BBQ Trailer can serve over a 1000 plates per hour. 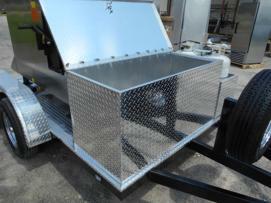 Check out their brand new tailgate trailer coming soon! Southern Pride SPK-500 Towable BBQ Smoker for competitions, catered events, tailgating, corporate functions and much more. Our goal has always been to provide each customer with the best cutting edge designs, craftsmanship, warranties and personalized service that our industry has to offer. 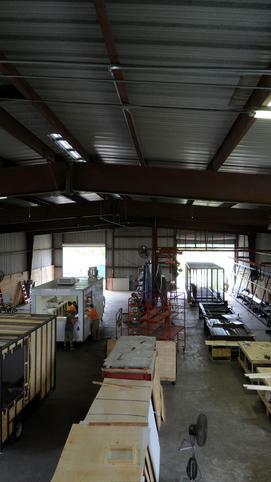 Everything we fabricate is built from the ground up so we welcome to stop by and we'll gladly give you a tour of our facility. Call today to make an appointment...912-283-7551 or email us at WWTMfg@aol.com. Copyright © 2001 by WorldWide Trailer Sales, Inc. / WorldWide Trailer Manufacturing, Inc. All rights reserved. Except as permitted under the United States Copyright Act of 1976, no part of this web site may be reproduced or dirstributed in any form or by any means without the prior written permission of the publisher.